James Davis posted this photograph on Twitter taken just before sunset. 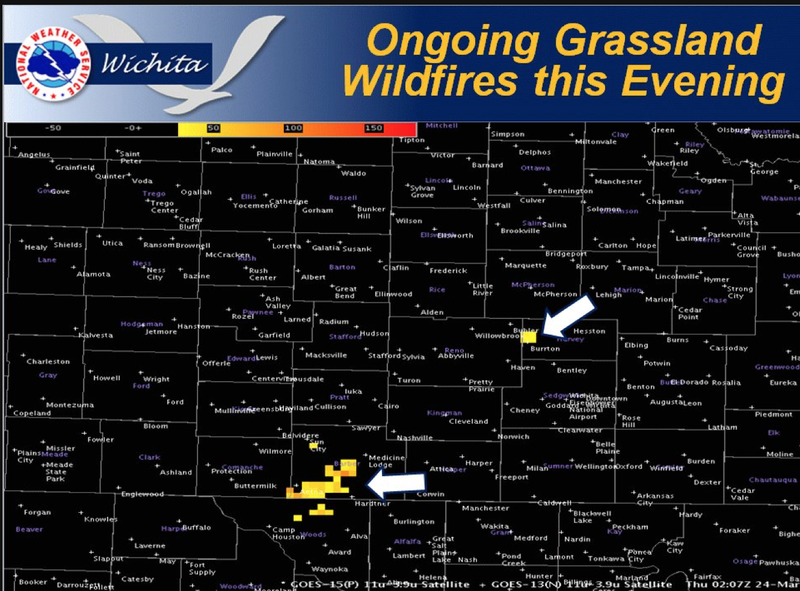 It is of the fire southwest of Wichita in the Gyp Hills. 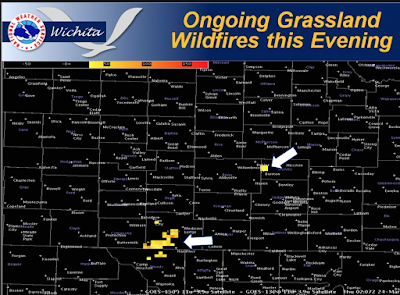 Via the NWS in Wichita, here are the locations of the fires as of late evening. 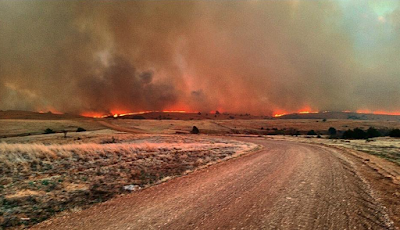 The Medicine Lodge hospital has been evacuated and the town is under a voluntary evacuation. 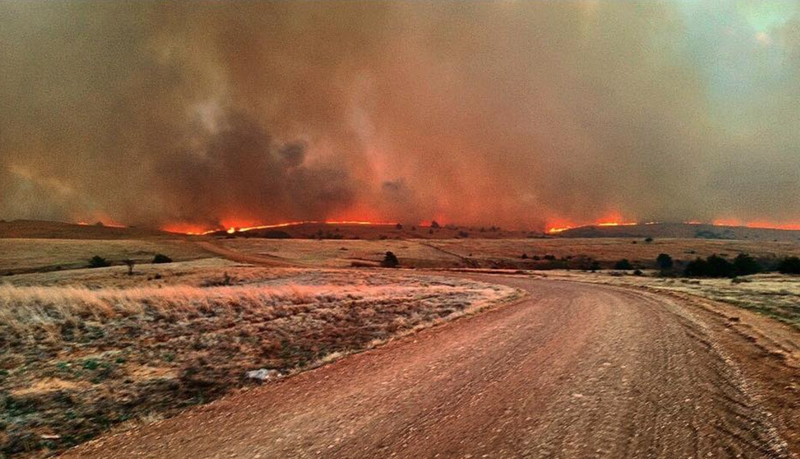 There is also a fire in western Harvey Co. west of the town of Newton.